Wiggs's Veterinary Dentistry: Principles and Practice, Second Edition is a fully updated and expanded new edition of the classic comprehensive reference for veterinary dentistry. Offering a greater breadth of information than other veterinary dentistry texts, the book provides a detailed examination of all topics related to veterinary dentistry, ranging from the basic principles to advanced procedures. This Second Edition has been significantly revised and expanded, offering more images and an even greater wealth of information than the previous book. 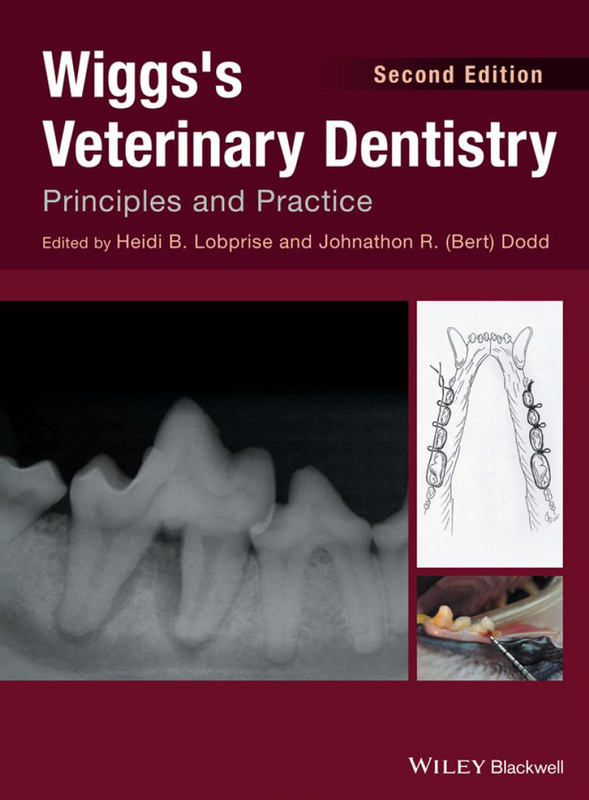 Written by an international list of leading veterinary dental experts, Wiggs's Veterinary Dentistry: Principles and Practice is an authoritative resource for principles and techniques related to dental care of pets. It covers all dental equipment, instruments, and materials; oral anatomy and physiology; radiology and imaging; oral disease, trauma, and surgery; anesthesia and pain management; tooth extraction; endodontic therapy; restorative dentistry; crowns and prosthodontics; the basics of orthodontics; and more. It also looks at oral and dental disease in felines and other groups, including small mammals and exotic animals.